The late Henri Jayer's legend continues to grow. When the final hammer came down, the 215 lots in the Baghera Wines sale of Henri Jayer's personal cellar had realized $34.7 million, the largest total ever achieved by a single wine auction. 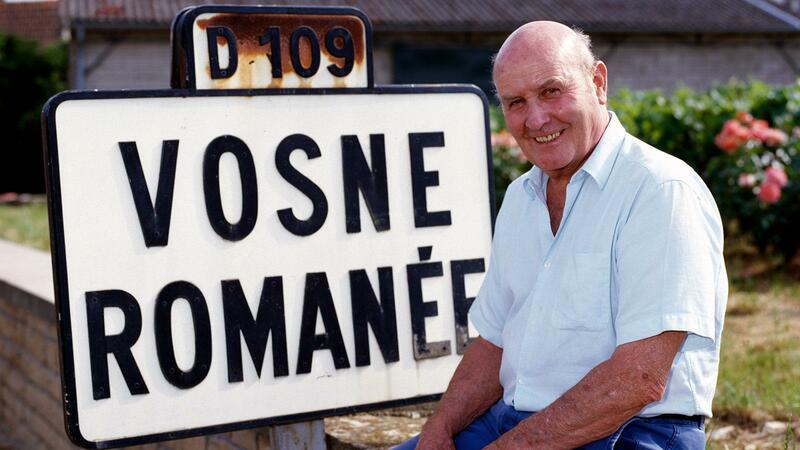 The sale of the legendary Burgundy vintner's remaining collection was announced earlier this year, to great anticipation. "It took me about 10 lots to really fully understand that this sale will be long and impressive, as a heated battle began on every lot," said Michael Ganne, the founder and executive director of Baghera Wines. "Then it was just a dream auction as an auctioneer with a lot of bids coming from the room, telephone and Internet. Bidders were not the same for the highly sought-after vintages such as '78, '85, '90 and the less-known vintages—bidders really knew what they wanted!" The success of the sale rested on the unassailable provenance of the wines. In today's world, where the spectre of counterfeit fine and rare wines looms large, these were pristine. They had rested in the late Jayer's cellar since bottling until being moved to Switzerland earlier this year. The total also attests to the cult status of Jayer, who died in 2006, and his wines, which continue his legacy. Even a wine faucet from his cellar, estimated at $100, sold for $3,000. Not surprisingly, the top lots were from the Vosne-Romanée premier cru Cros Parantoux, the climat that catapulted Jayer to cult status and a vineyard that was virtually a monopoly of his. Lot 88, a magnum of Cros Parantoux 1978, reputedly Jayer's best vintage, sold for $144,893, more than three times the high estimate of $40,248. Six magnums of Cros Parantoux 1999 went for $531,274, while a 15-magnum vertical spanning the vintages 1978 to 2001 fetched a hammer price of $1,171,217, well over double the high estimate. There were only nine bottles of Richebourg in the sale, including two magnums. One bottle of the 1986 sold for $50,712. The total sale results include the 20 percent buyer's premium, but not the 7.7 percent Swiss VAT for each lot, plus any taxes or duties collected by the country where the wines are shipped. For perspective on the $34.7 million single-cellar auction sum, the previous record sales figure of $24.7 million was achieved at the now-infamous 2006 auction of wines "procured" by Rudy Kurniawan, who was in 2013 convicted of selling fake collectible wines. More recently, the 2016 sale of more than 20,000 bottles from the cellar of billionaire collector Bill Koch netted $21.9 million. "Of course we are all very happy with the results and ecstatic for Henri Jayer's daughters," said Ganne. "But more than numbers, it shows that the myth Henri Jayer will stay for a long period." I regret not having met Henri Jayer. Nor did I taste many of his wines. A Nuits-St.-Georges Muergers 1983 tasted in 1999 was not in good shape. However, Martine Saunier, Jayer's longtime U.S. importer, shared a bottle of Vosne-Romanée 1988 with me in 2009 and it was sublime. With this sale, for now at least, the Jayer legend lives on.